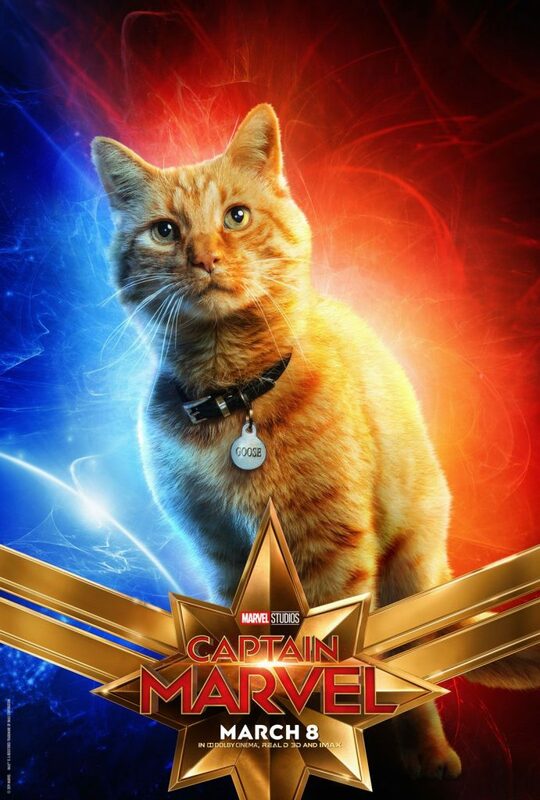 The Marci Rating System » Blog Archive » Captain Marvel! *It comes out on March 8th. *The cat is named Goose. *Goose might be an alien. *Goose has a movie poster. This entry was posted on Sunday, February 10th, 2019 at 6:29 am	and is filed under Uncategorized. You can follow any responses to this entry through the RSS 2.0 feed. Both comments and pings are currently closed.